Every 90s kid in India had a keen interest in WWE, from The Undertaker, Triple H, and The Rock to John Cena and numerous wrestling stars must be everyone’s idols in their growing age. But now it really seems that they also want to embrace Bollywood. The WWE India Twitter account shared a video on 29th January, Tuesday, and that video is really winning over the hearts of Indian WWE fans. 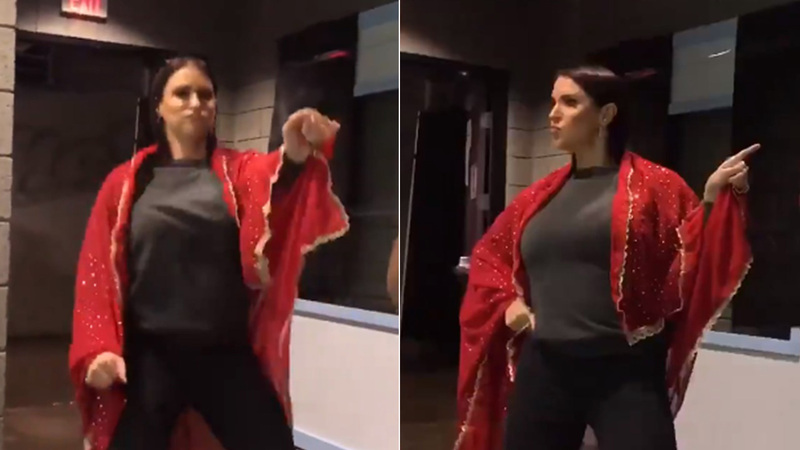 That video is getting viral, in which Stephanie McMahon, ex-wrestler and present Chief brand office at WWE is grooving with the famous Indian-Canadian wrestling brother duo The Singh Brothers on the Bollywood’s famous song ‘Humko Tumse Pyaar Hai’ from the 1997 super hit film Ishq featuring Aamir Khan, Kajol, Ajay Devgn, and Juhi Chawla. The 2 minutes and 15 seconds long video starts with The Singh Brothers talking about Bollywood and discussing how it is the biggest film producing industry in the whole world when Stephaine joins them in their discussion and praises Bollywood. After that, they happened to have a Red dupatta and make her drape it, to portray true Bollywood fashion before they just bust out with some bhangra steps on the hit song. The video is surely minded bobbling and will steal your heart as it shows how cultures can connect a common platform. The tweet made by WWE India has grossed over 2 thousand views and has surely created some buzz on the internet, with the appreciation for McMahon’s dance moves. This is just another example of how the WWE is also straining their content to gain more viewers in the country where they already generate a large viewership and has the possibility to grow to a great extent. 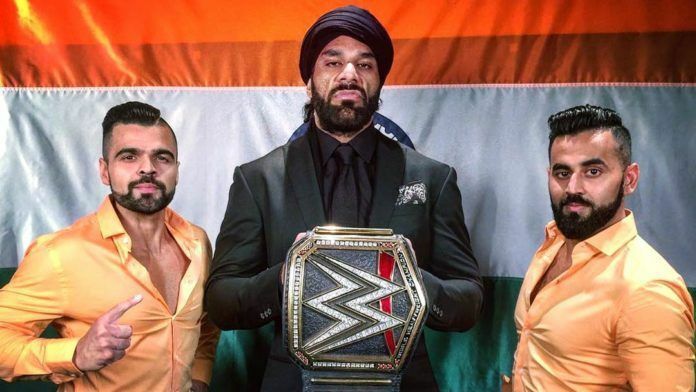 The Singh Brothers made their debut more than a decade back in the year of 2005, they were also selected as the sidekicks to Yuvraj Singh Desai, or commonly known by his stage name Jinder Mahal, an Indo-Canadian wrestler with WWE. Jinder was also pushed by WWE to the moon in 2017 where he won the topmost championship in the division by beating up the likes of Randy Orton and Shinsuke Nakamura along the way.